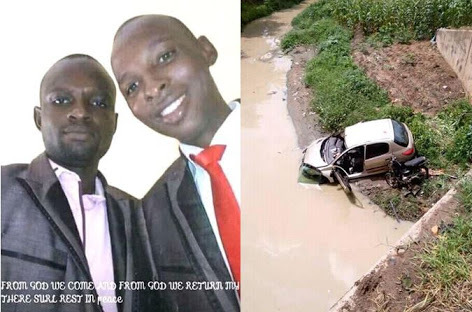 Minna, the Niger State capital has been thrown into mourning following the death of twin brothers in an accident on Tuesday. The brothers were recruited into the Nigeria Police force the same day and have been reportedly popular because of their commitment to duty. Tears flowed freely as relations and members of Niger State Police Command heard the news of their death. Both were on a motorcycle when the incident occurred. One of the deceased was a police sergeant while the other was a corporal but they both joined the force the same day and were known for their gallantry and dedication to duty in their place of work and the state headquarters of the police command. It was gathered that the two policemen were hit by a Peugeot 206 salon car driver who was also hospitalised as a result of the injury he sustained in the accident. The driver according to the report simply called Mohammed had been unconscious since he was admitted to the Minna General Hospital. The command’s Public Relations Officer, Muhammad Abubakar, confirmed the story describing the incident as an accident. “It is an accident; the matter is being investigated at the end of the investigation we will know the next step to take." He said the corpses had been released to their relations for burial.